5-day workshop with the Niagara Frontier Watercolor Society. Great group of artists. Beautiful accommodations and lots of positive energy. Would definitely teach there again. Sold paintings in both exhibitions at Nemacolin. Open studio in May - met lots of new people, added new subscribers to my mailing list, sold a painting. Resident Artist for 2018 at the Mansion on Fifth Hotel. Met so many great people at Performance Thursdays and the bi-monthly Art Tours. Tango Night! Amazed to see people braving the terrible weather to come out. Unbelievable musical performances by Tom Robbins and Alejandro Pinzon and dancers Yulia and David. 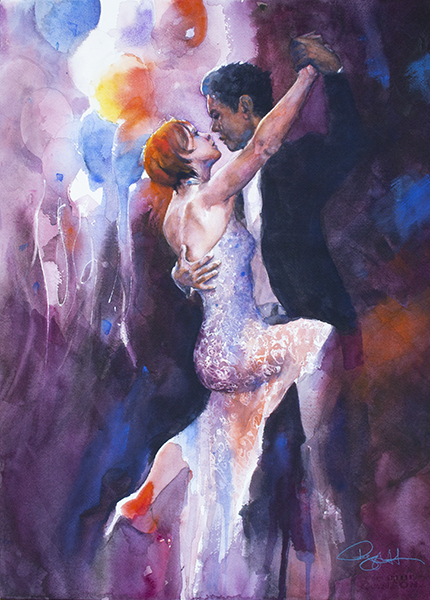 Completed a Tango painting. Fun two-week portrait class at MAL. Nice to see new and former students. I am seriously amazed that I am able to do this work year after year and to have the opportunity to meet so many wonderful, supportive people. After painting so many cityscapes, I was just itching to paint a human. 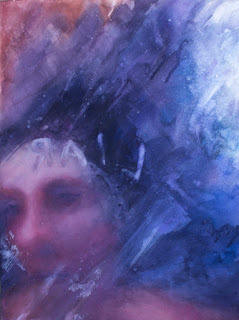 With Liar, my goal was to leave enough ambiguity to allow the viewer to bring their own life experiences to the work. Is the woman in the painting the liar? Is she accusing someone else of lying? Maybe this person represents all of us at different times in our lives and is a call to self-awareness and correction. Or maybe it is a sign of our political landscape. What is it about roofs that are so captivating? 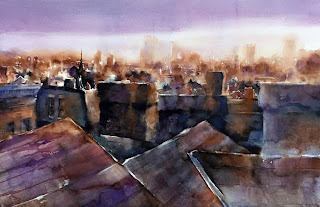 I love trying to capture the city expanding into the distance with suggestive, obscurred strokes of color. For me, each of those roofs represent a microcosm of one larger society. Seeing the parts and the whole at the same time reminds me that we are just a fraction of one bigger human community, despite our many differences. I started this painting at a "Tango Night" event at the Mansion on Fifth Hotel. What a night! Amazing musicians and dancers treated the audience to a Tango performance. Artist Claire Hardy and I painted along with the music. I titled this painting, "Last Dance", because I pictured a couple at the end of a party, oblivious to the fact that everyone else had gone home.